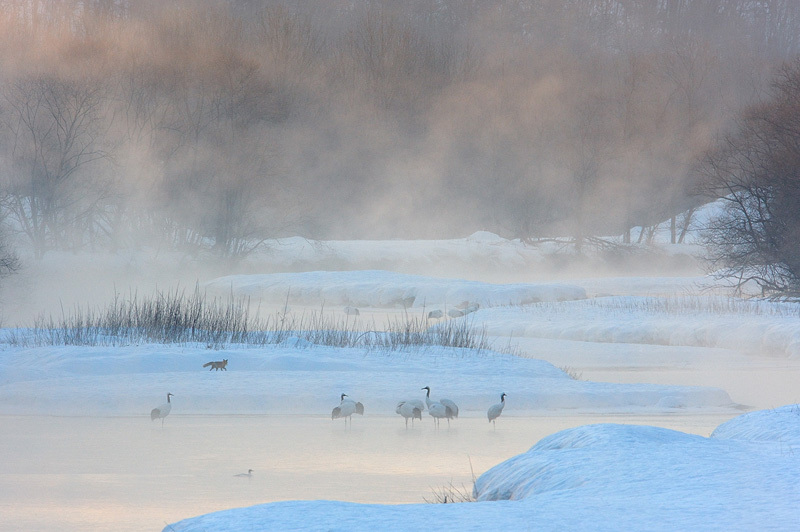 A red fox appears near the roosting spot of Japanese cranes on an early winter morning in Japan. I was wondering what it was going to do there, and I came up with all kinds of bloody scenarios. In the end, it was just going for a drink.